In Oxford, Laing O’Rourke has constructed a bespoke building with a complex geometry to house the university’s new Blavatnik School of Government, which has been shortlisted for the Stirling Prize. Tom Ravenscroft learns how Laing O’Rourke taught Oxford University BIM on the project. Although this was a complex and prestigious £55m project, a full BIM protocol had not been established by Oxford University. 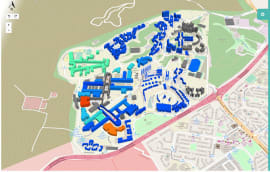 Following the first stage of a two-stage appointment, main contractor Laing O’Rourke made the decision in consultation with Oxford University to implement elements of BIM due to the complexities of the project, and as part of the process of improving the company's own delivery capability. 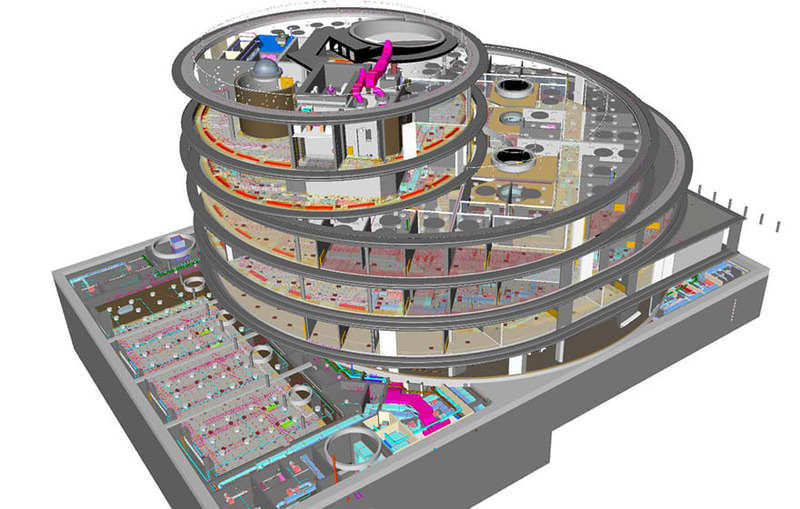 Although this is not a Level 2 BIM project, the client design team, including architect Herzog & de Meuron, did supply the contractor with a basic 3D model developed for coordination during the earlier design stages, which Laing O’Rourke was able to further develop for coordination, programme validation and construction sequencing. 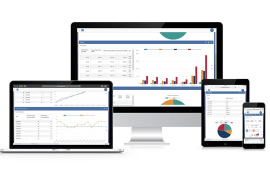 The contractor then added extra detail and data to the model for it to be used in asset management. Along with its unique geometry, the architect’s desire for uncluttered, monolithic concrete meant that the use of BIM was essential to accurately install the mechanical and electrical (M&E) services. 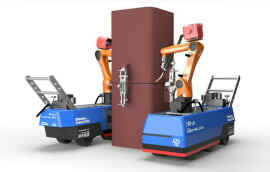 To achieve the level of accuracy needed, M&E engineer Crown House Technologies digitally modelled all the containment. As the majority of the wiring containment needed to be cast into the structure, it was essential that the positioning of all the services was correct first time. To achieve the level of accuracy needed, M&E engineer Crown House Technologies digitally modelled all the containment. Using BIM mitigated re-work and ensured certainty of technical fit. However, although BIM provided benefits, the fact that it was not written into the contact by the client reduced the ability to effectively take full advantage of BIM. 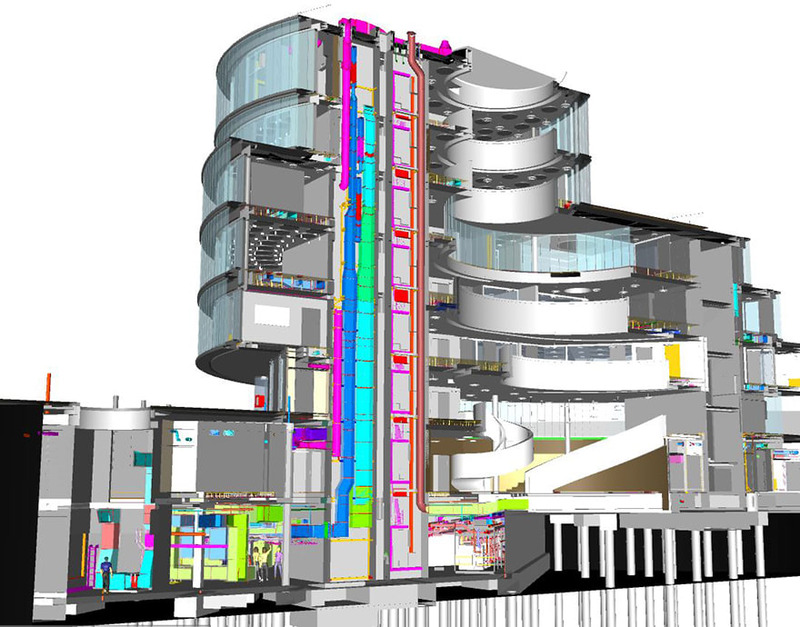 Throughout the project Laing O’Rourke used the BIM model as a tool for engaging with the client. 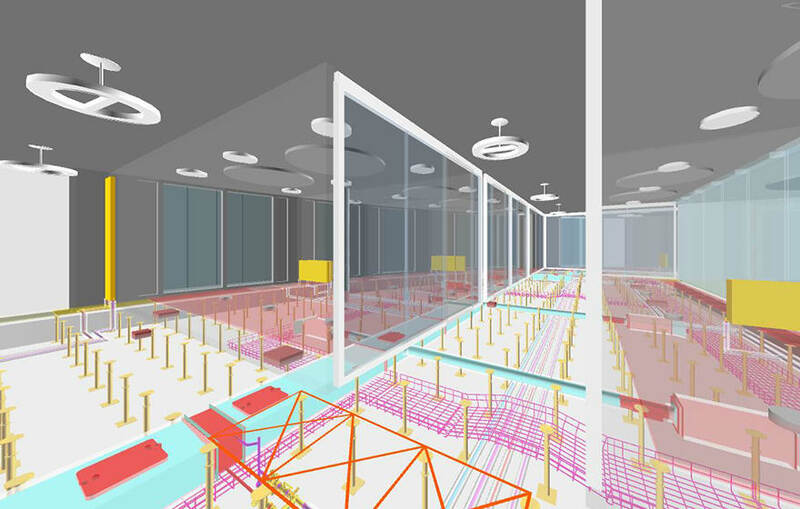 “The main challenge for us was the fact BIM was not a main contract deliverable, which reduced the authority in asserting a managed BIM environment and deliverables from the design team and supply chain,” adds Revelle. 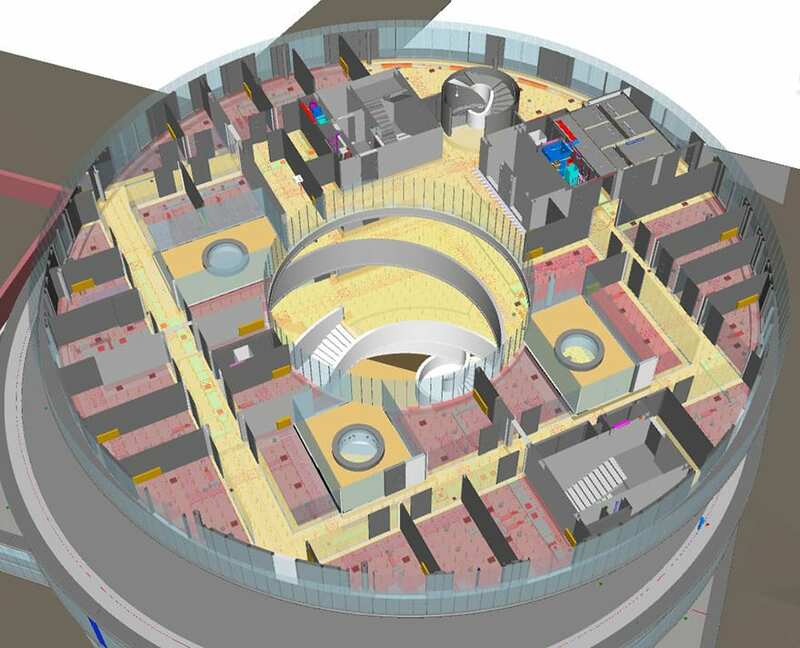 Throughout the project Laing O’Rourke used the BIM model as a tool for engaging with the client and has attempted to highlight to the client the benefits of BIM. 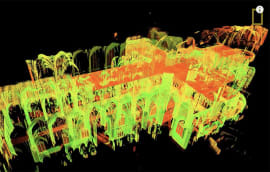 This concluded with the contractor piloting a scheme to use an in-house solution to hand over a 3D model that is linked to the digital operation and maintenance established by the client to aid and enhance asset management. “I can definitely say that the incorporation of the 3D model with the digital O&M was a success, considering this was a first for the university,” Revelle said. 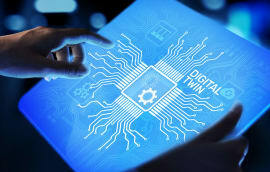 Oxford University has seen the benefits of the digital engineering connecting to the digital O&M data, and Laing O’Rourke is working with them to develop how best to incorporate this on future projects. Oxford University has seen the benefits of the digital engineering. Great case study and well done Laing O’Rourke for pushing the use of BIM.